The project, including shoring up the hillside, cost $192,000. 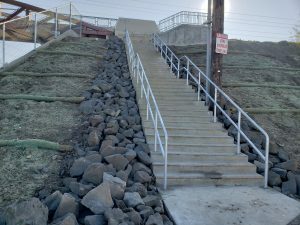 While TriMet built the stairway, it will be owned and maintained by Portland Parks & Recreation. The MAX Orange Line opened Sept. 12, 2015. 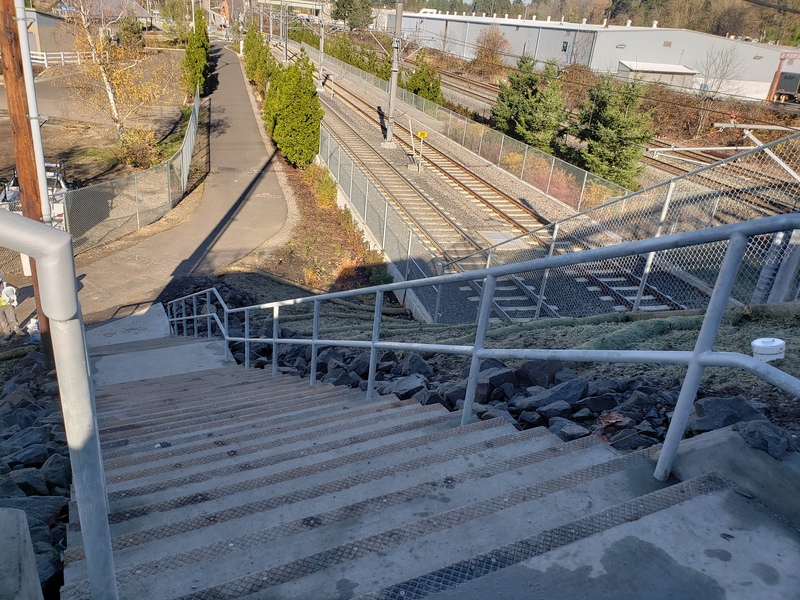 It runs 7.3 miles from Portland City Center to Milwaukie and Oak Grove in North Clackamas County. It was built with a deep commitment to sustainability and serves as a model for bringing principles of sustainability to future projects both inside and outside TriMet. In September 2018, the line averaged 12,870 boardings per weekday, with a ridership that continues to grow.